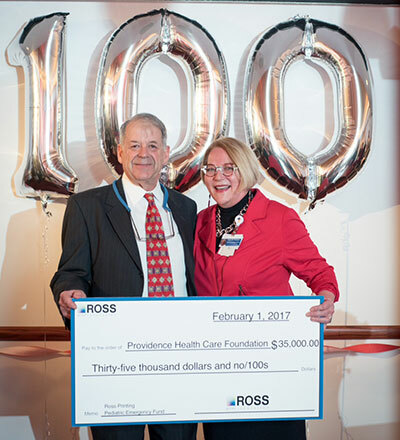 In recognition of its 100th anniversary doing business in Spokane, Ross Printing has donated $35,000 to Providence Health Care Foundation. The gift will be used to create the Ross Printing Pediatric Patient Emergency Fund. The Fund will help cover necessities such as groceries, utility bills, travel expenses, auto maintenance and essential home repairs for families with children being treated at Sacred Heart Children's Hospital. The HUB Sports Center was presented the Heart of the Community Award by the Greater Spokane Valley Chamber of Commerce at the 2017 Gem of the Valley Gala on Friday, January 20. The award is given to an individual, business, municipality or government program that represents the heart of the community through service and/or financial support to improve the quality of life in our community and is an active participant in the Spokane Valley business community and exemplifies the spirit of community service. Last year the HUB was named 'Non-profit' of the year by the Spokane Valley Chamber and they were awarded the 'Spirit of the Inland Northwest' in Visit Spokane's Tourism Awards. 'Hub' is defined as a center of activity. HUB Sports Center is strategically located on the border of Liberty Lake and Spokane Valley and is 'on the way to everywhere'. HUB Sports Center is a safe place for people of all ages to meet, recreate, and fellowship. Their mission is to join together the communities of faith, sports, education, business and government to positively impact our youth and region through events and programs that enhance life skills. This exemplifies the definition of the 'heart of the community' by being at the center of bringing people together for common good. Learn more about the HUB at hubsportscenter.org. 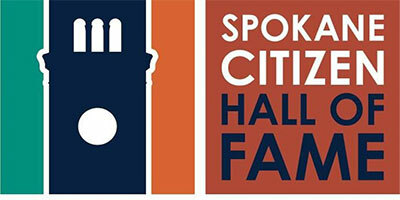 The deadline for nominations to the Spokane Citizen Hall of Fame has been extended to February 15. It's your chance to recognize and honor someone in Spokane who has done great things for the community. The categories are Arts and Letters, Economic Development and Business, Education, Innovation and Leadership, Public Service and Philanthropy, and Science, Health, and Medicine. Go to spokanelibraryfoundation.org for all the details. 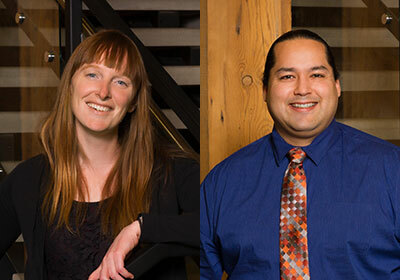 Autumn Hewitt and Anthony Finley have joined Bernardo Wills Architects as BIM/CAD technicians. Hewitt's initial projects include several new credit-union branches in eastern Washington and the remodel of Newport Hospital & Health Services in Newport, Wash. She has five years' BIM/CAD experience. Hewitt has a Bachelor of Science degree in Architecture from Washington State University and studied real estate development and community development at Portland State University. Finley's first assignments include Eagle River Luxury Living, a senior living community in Eagle, Idaho. A member of the American Design Drafting Association, he has five years' BIM/CAD experience. Finley holds an Associate of Arts and Sciences degree in Computer Drafting and Design as well as a Bachelor of Applied Science degree in Project Management from ITT Technical Institute. Bloc Yard Bouldering Gym, offering a diverse selection of climbing walls for people of all abilities, is under construction and will open at 233 E. Lyons, by the Lowe's on Division, in March. Bloc Yard will be in a 9756 square-foot building with 4500 total square-feet of climbing surface with a 16' max wall height. A kids climbing area will also be included. For more information on Bloc Yard Bouldering Gym, find them on Facebook. This month's meeting for Operation Spokane Heroes includes guest speaker veteran, Michael Carroll, who will share his personal story, including his suffering from PTSD, and seeking help through the VA, the Veteran Outreach Center and the Spokane Veteran community. Michael will be discussing Veterans Community Response and Spokane Veteran Forum. The meeting will be held Tuesday, February 14, from 4:30-5:30pm at Haskins Steel, 3613 E. Main Ave, Bldg. D in Spokane. 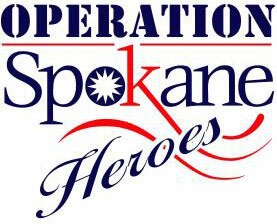 Operation Spokane Heroes (OSH) is designed to show community support for our military and their families in a variety of ways, which include developing morale boosting activities and encouraging businesses to offer discounted goods and services. OSH is a non-profit organization, which exists solely from community donations. For more information, visit www.operationspokaneheroes.org. 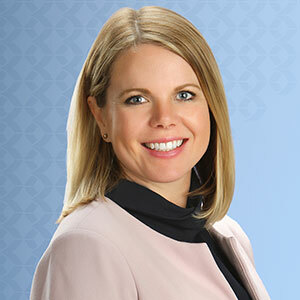 Associated Industries has hired Stefanie Howe as their new membership director. Her role is to help small and mid-sized organizations, across multiple industries, address employer related issues more effectively through the organization's membership services and support. Prior to joining Associated Industries Stefanie held a sales leadership position with a global hospitality technology provider. She brings more than nine years of consultative sales and business development experience to the team. Stefanie is a graduate of Washington State University. Spokane Meals on Wheels is holding their annual Valentine's Day fundraiser, Cinn-a-Gram, going on now through February 8. Cinnagram benefits Spokane Meals on Wheels, which has supported seniors in our community for 50 years. Each Cinnagram includes two fresh Cinnabons, Roast House coffee, Moon Creek caramels, Dove chocolates, Red River golden trail mix, Trader Joe's fruit leathers and a mug that includes a personal message. The cost is $30 and includes delivery throughout the Spokane and Coeur d'Alene areas. This is a great way to treat someone special and feed the hungry seniors for just $30. For more information and to place an order, visit www.mowspokane.org.